This Sunday is the first opportunity for us to participate in the Sports Hall Athletics. This Sunday’s venue is Bicester Sports Centre, Queen’s Avenue, Bicester OX26 2NR (Sunday 16th October). The meet time is 1.00pm for a 1.30pm start. Last year’s Sports Hall competition was well received by the athletes that attended. With more athletes from WHH promising to attend this year, it promises to be even better. 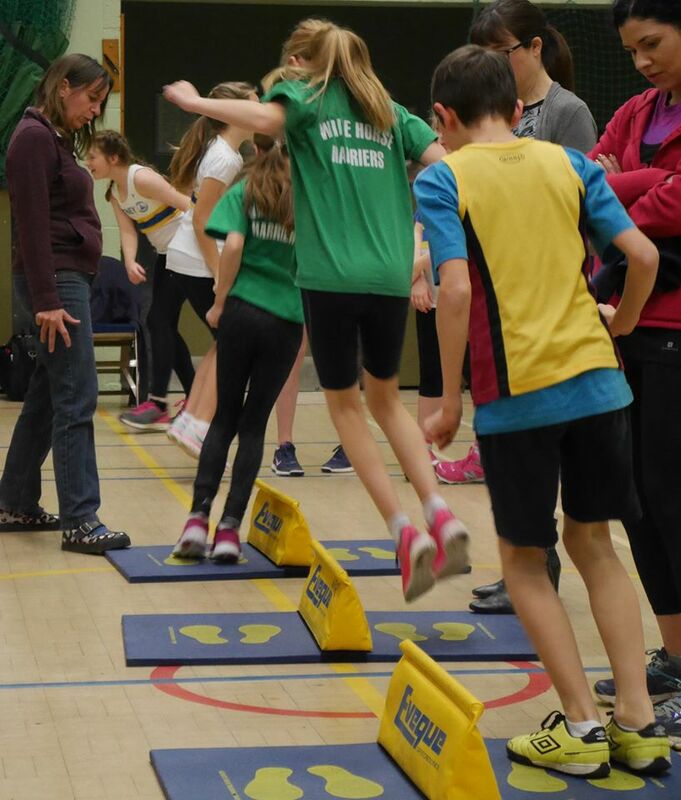 Events such as speed bounce, standing triple jump, standing long jump vertical jump, shot putt and chest push are available to be participated in. These are the events we have practised over the last few weeks. The age groups that we have entered are U11, U13 and U15. At last year’s competition the U15 age group was the least competitive and the worst we would have finished is third! Please let me know by Thursday evening if your junior athlete is able to attend, so that I can submit the team forms to the event administrator. I can also be contacted by mobile number 07815869150. Please feel free to text or ring. We will be happy to supervise your child on the day but if you choose to leave them with us then please reinforce that they are to ask us before leaving the sports hall to go to the toilet etc and they are not to leave the building or go into the fitness suite or squash courts at the request of the organising team. Your junior athlete will need a snack and water as the event will not finish until around 5.30pm.